The Victory Branch invites childcare providers and preschool teachers to attend a free early literacy workshop! This workshop focuses on the importance of reading to children, laying a foundation for getting children ready to read, and how to use free resources found in the local library. The curriculum is built upon the Six Early Literacy Skills recommended by the National Research Council. Each skill will be explored through a variety of fun, hands-on activities and practical examples. The skills developed are appropriate for use with children ages 2 years through kindergarten. Three IdahoSTARS credits are available at no cost for participants who wish to submit an IdahoSTARS Evaluation after the workshop. The workshop is three hours, with a short break. 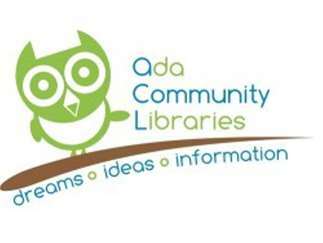 This program is sponsored by the Ada Community Libraries, Idaho Commission for Libraries' Read to Me program and the Institute of Museum and Library Services under the Library Services and Technology Act.